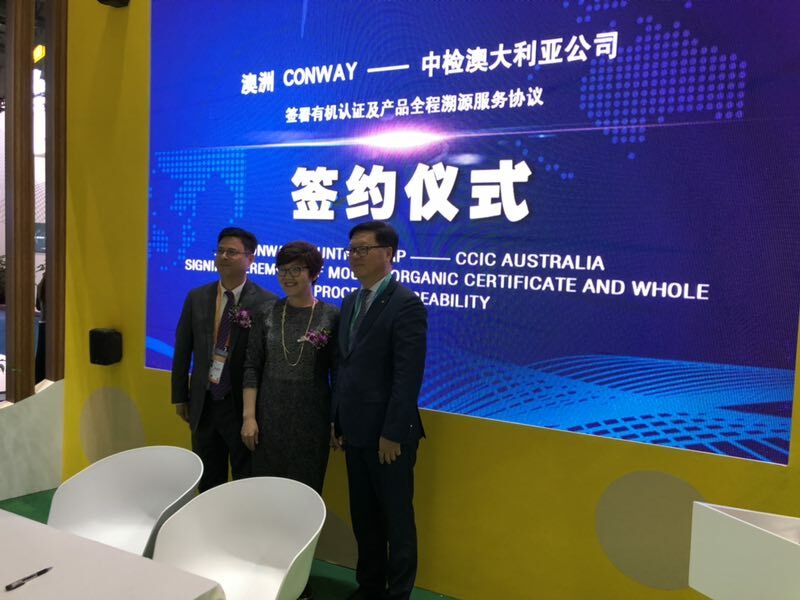 On November 6th, Conway Country Corp and CCIC Australia Pty Ltd has signed a MOU for strategic cooperation at China Import Expo in Shanghai. With the agreement, CCIC is to provide inspection, certification and traceability services to Conway products exported to China. Conway Country Corp is an Australian natural organic farm and high quality protein production and processing base in Northern Territory. Vice president Wang Hong of CCIC Group has witnessed the signing ceremony.